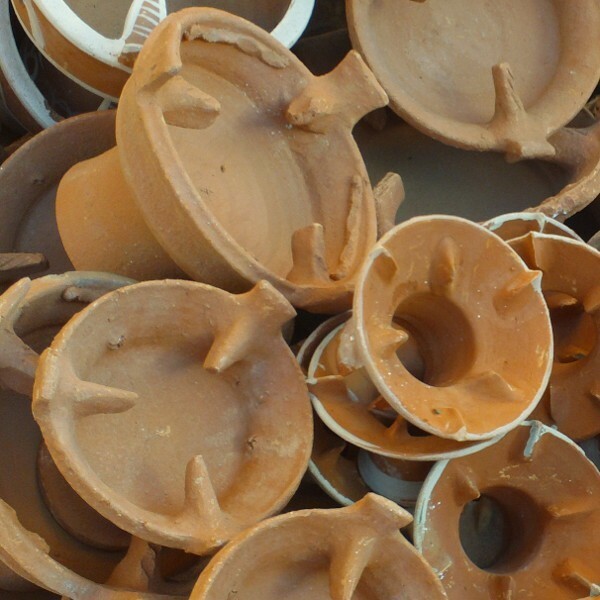 Terracotta Barbecue for cooking Tajine. Moroccan Kanoun, easy to use with wood charcoal, usually used to share a picnic with some friends near a lack or a river. This Terracotta Barbecue may be use with every sizes of Moroccan Tagine. Very usefull Barbecue easy to carry.